Getting ready to move to a new house can be quite exciting. It can also be rather scary, especially if you have lots of expensive and delicate furniture. It does not matter whether you are doing it yourself or hiring a team of professionals to do it for you. 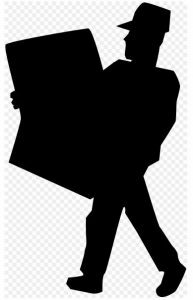 That constant nagging feeling of worry will always be at the back of your mind, and you will always cringe whenever you watch your antique table being carried up the stairs, or when the movers fumble with your expensive sofa as they try to get it through a doorway. However, this does not always have to be the case. There are several ways you can protect your custom furniture fora house move that will leave you stress-free and relaxed. 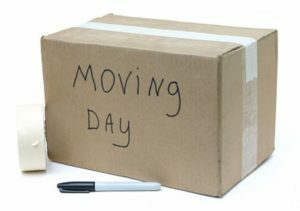 If that is your goal, these tips will help a lot on your next house move. Before you even think about calling a moving service, you need to gather all your packing supplies. The movies have led us to believe that all you need when moving to a new house are a bunch of cardboard boxes. In the real world, you need a lot more than that. Besides packing tape, moving blankets and cardboard boxes, you also need a whole set of packing supplies specifically for your furniture. Make sure to buy lots of bubble wrap, plastic stretch wrap, a set of sofa and mattress covers, corrugated cardboard sheets and sealable plastic bags. Assemble all these well before the moving day. If you’re looking for a few more tips on what supplies you need, you should check out these packing tips for moving by WhatStorage. Before packing them, there are several things you need to do to the furniture to make them more travel-friendly. Empty them all out if they contain your other belongings, then dust them and wipe them down thoroughly. You do not want any dust scratching their smooth surfaces as you transport them. Dusting furniture is very important, and there are a few tips that could help make your dusting a lot easier. Firstly, start at the top and work down. Dust will fall from the top onto the bottom of the furniture, so if you start at the top it’ll save you having to do a second dust! You can also use some home products that will help your dusting. Why not try using baby wipes, it’s a surprisingly good way to dust wood furniture. Doing a combination of baby wipes and using a duster will make sure your furniture is dust free! If you have any assembled furniture, you need to dismantle them completely. Take the bed apart, remove the legs from tables, remove the cushions from the sofas, and so on. If it can be dismantled, do it. 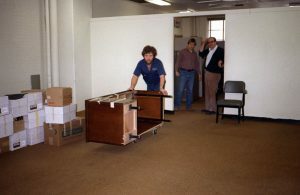 It is easier to transport bits and pieces than it is to transport an entire bulky whole. Plus, if they are in smaller parts, they are easier to pack compactly and there will be a much less chance of damage from brushing up against walls and door frames. Put all your screws, nuts and bolts in carefully labelled sealable bags, then tape them shut. If you have delicate pieces of wood, protect them with bubble wrap. If you have upholstered items such as sofas, put a thick layer of plastic wrap over them or use plastic sofa covers. Always place corrugated cardboard sheets between any two pieces of wood. Bubble wrap also works great for glass and stainless steel or shiny chrome furniture. If you have a mirror, or a large plane glass surface, tape a large X across its face. This will prevent it from shattering in the event of breakage. Then wrap the glass liberally with bubble wrap. Be extra careful with corners, and give them some extra padding. Place the glass between two cardboard sheets. Optional: cover the blanket covered furniture with a layer of plastic wrap too for a more secure piece. Before the mover come, look at everything you have and try to plan how you will place them in the truck. When the movers come, the first thing you need to do is create a wall of stable boxes at the far end inside the truck. Use same size, sealed shipping boxes, and preferably go with the heavier ones. Do not use fragile stuff for this wall of padding. Next, place the rectangular type furniture like desks and dressers. Pad everything with cardboard. The next thing to go in will be other boxes, small tables and drawers. Then the mattresses will go in, before finally all the upholstered items. When you pack this way, everything protects everything else, and there is a smaller chance of damage even when the truck shakes around. Just make sure that everything is tightly packed and nothing moves around too much. 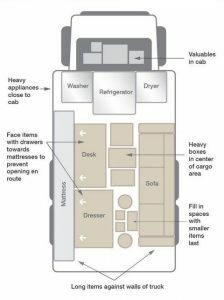 You should now hopefully have more ideas on how to pack your furniture for moving, I hope this article has helped and given you relief! Here is a quick re-cap and checklist for you to double check before your packing! I really hope this blog has made you a lot more confident in moving your furniture. I wish you the best of luck with your moving and hopefully you’ve learnt some new tips and tricks!